Rihanna dressed up 'Flintstones' style for her neice's birthday party. Hi Pebbles! 19. 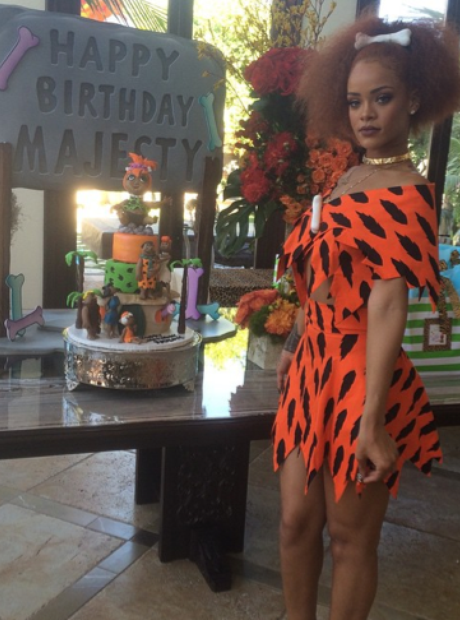 Rihanna dressed up 'Flintstones' style for her neice's birthday party. Hi Pebbles!